Being in Kyoto, we were only a quick train ride away from the Yamazaki Distillery. Of course I had to return to get some whisky but this time I took the family. No kids allowed on the tour so we just went through the museum and walked the public grounds. You can see my post from last time for info on the tour. We ended up in the tasting room where I got a chance to try 6 amazing pours, 4 of which are only available at the distillery. It should be noted that some of these bottles are thousands of dollars, but the pours were remarkably affordable. Each glass is a good amount more than a half pour and all 6 came to about $60. Too bad you are limited to 3 pours per person but it’s not a bar so fair enough. 12 Year Sherry Cask - Light with a subtle sweetness, like fruits. 17 Year Sherry Cask - Bold with deeper sweetness, like preserves or jams. 18 Year Hakushu - Peaty but very refined. I’m usually not a fan of peaty whisky but I’d be happy with this. 12 Year Mizunara - A different taste than standard Yamazaki 12. The Mizunara wood gives it a more fragrant flavor though very subtle. 17 Year Mizunara - In my previous post I said this was the best whisky I ever had. Trying it again doesn’t change my mind (yet). Deeper flavor from the Mizunara that I have yet to encounter from traditional whisky. Completely smooth and rich. 25 Year Yamazaki - This was the highlight, not surprisingly. If you love 18 Year Yamazaki, this takes it to another level. So smooth, deep flavor, dark chocolate with almost no sweetness. Smoke but no peat. Can’t say enough about this. We've actually been back in the US for a couple of weeks but I've been too busy to keep up my posts. This one required some time to sit down and digest as it was one of the big highlights of the trip. I've been a fan of Japanese whiskey for a few years now and one of my favorites is Suntory's Yamazaki line. We were fortunate that the Yamazaki distillery was only a short ride from Kyoto so I made the trip solo (no kids allowed, unfortunately). 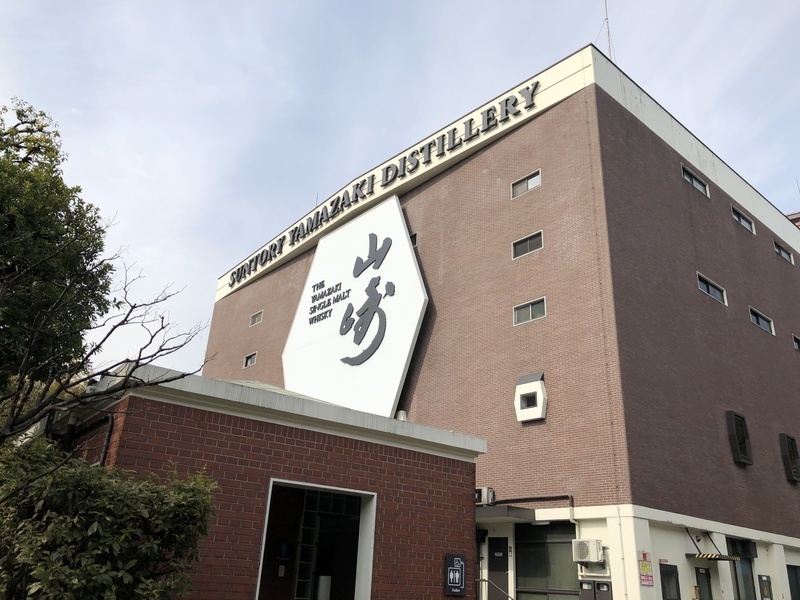 Located near the historic town of Ōyamazaki, the distillery is nestled in a beautiful mountainside landscape. The scenery here alone is worth the visit - as picturesque as any of the parks and gardens we've seen in Japan. Before I headed to the guided tour, I spent some time touring the Suntory museum. Amazing to see the old labels from the early years. Most impressive was the long lighted gallery of labeled whiskey bottles from many different decades. As we began the guided tour, what you experience the most are the smells. There was an intense smell of wood and alcohol in the air. Along with the heat and humidity, it's what I imagine the inside of a whiskey barrel feels like. Our tour guide took us through the entire whiskey production process and was super helpful. My only regret was not knowing any Japanese as I'm sure the pre-recorded tour notes did no justice to her animated narration. You exit the barrel storeroom into a serene and almost magical outdoor landscape. No words to describe this. We headed back to the museum and entered the first tasting room. Here we learned about how distillers taste whiskey and was given a quick lesson on how to make the perfect whiskey highball. The final stop for me was to the paid tasting room and then to the whiskey shop. 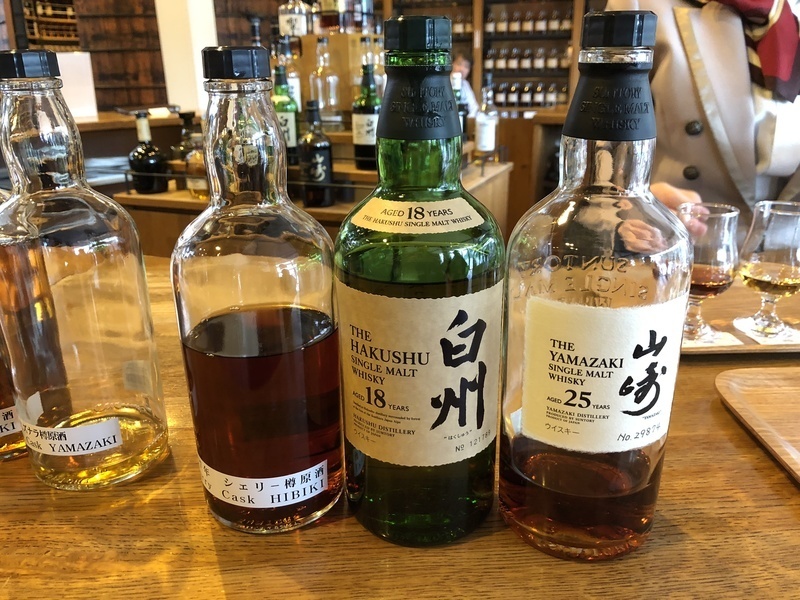 Here, you can taste some of the finest bottles that Suntory has available. Some bottles were only available for tasting at the distillery and are no longer sold at retail. Without a doubt, I had the best whiskey I have ever had - The 17 Year Mizunura. A mixture of smoke, caramel, fruit - in the perfect blend. The bad news, it's no longer for sale and going for over $2K on the secondary market. Still, I was able to buy some bottles only available for sale there. For anyone who is a whiskey fan, make the trip out. You'll have a blast like this guy.